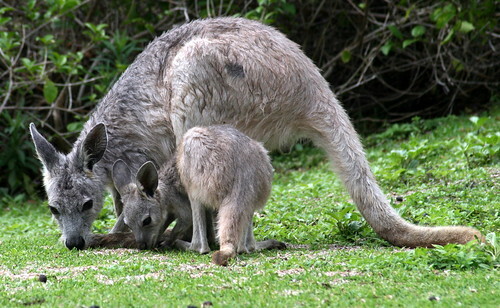 On my birthday (November 16th) we stumbled across this Wallaby and her little joey on Daydream Island, Queensland, Australia. We are back now from sunny down-under, and I am uploading photos. The first batch has been uploaded - Wild Animals (not zoo). this one of the best pitures of mother and joey iv found one the internet!!!! !